Hi and welcome to Mulberry Hill! 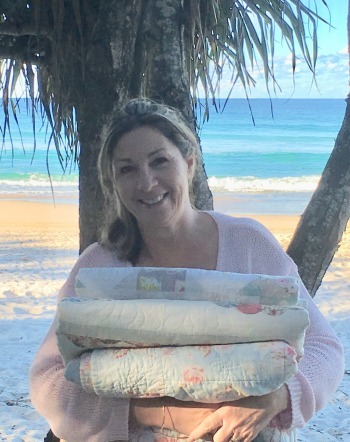 My name is Gaye and I live in Kingscliff, a seaside village in Northern NSW with my family. Also sharing our home are our three 'babies' - the cats Ruby and Oliver and Tom, the poodle. In 2008 I launched my online store specialising in patterns by my favourite designers, from quilts to stitching projects, English paper piecing and applique. The first quilt I ever made was a paper pieced hexagon design from Laura Ashley sample fabrics. Now I think it is time to stitch another, maybe this time in Liberty! I have tried many sewing techniques along the way but I do keep coming back to my first love, hand stitching. It has been a great journey so far! I hope your creativity will be excited and inspired by the fabulous patterns created by our talented designers. If you would like to keep up with what's new, just sign up for our newsletter.